There is an old saying: when the student is ready, the master will come. In Naina's case, her master -- or mistress, in this case -- was a black-and-white stray cat she called Sweetie, who crawled through a tiny opening in her sixth floor kitchen window in her rooms at the Prasanthi Nilayam Ashram in India, and gave birth to kittens. But this experience did not adequately prepare her for the whirlwind of being a foster mother to a semi-wild cat family in India. 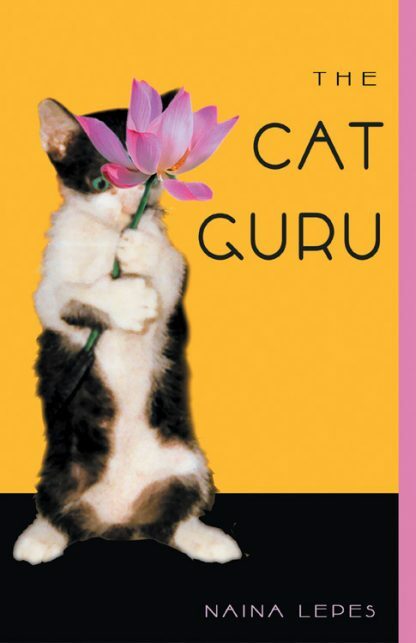 The newness of the experience and the kittens -- Bhakti and Samah -- caused her to examine her spiritual beliefs and understanding of the world. Through her fourteen-year friendship with Sweetie, her worries, delights, and insights, we not only learn about the basic principles of Hinduism, we also learn to appreciate life and nature's incomparable beauty in all its surprises, big and little. Naina's photographs of the kittens and their mother are included in a color section. It's a charming, affirming story for anyone who suspects that fully-realized beings can wear fur coats and walk on all fours!